Is A Birthing Plan Necessary? 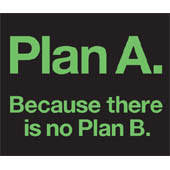 When I was pregnant with my daughter, people, including my doctor, asked me what my birthing plan was. My birthing plan was, well, to give birth. That is as far as I had gotten. In my second trimester I realized there was more than one way to deliver, which besides being confusing, was quite scary. I am now pregnant with my second child. My birthing plan is, well, to give birth. Despite all the different methods of delivery I read about the first time around, I just went the old fashioned way. I am not sure I want to get all fancy with my birthing. I don’t think I want to have to follow some elaborate direction manual on the big day. Actually, I don’t think I could. I will be far too preoccupied with the task at hand to stop and think of the best way to do it. Once again I want to show up at the hospital, lie on the bed, probably have an epidural, and give birth. I am not going to worry about my breathing exercises, as I will probably end up hyperventilating anyway. I am not going to try to give birth in a giant pool of water while I practice synchronized swimming. I am not going to perform complicated yoga tricks (as amusing as this may be for the staff). And I am certainly not going to execute any movements that could quite possibly be misconstrued as a Cirque Du Soleil audition. I understand some women feel the need for birthing plans, especially since it makes them feel as though they have more control over the situation. However, despite the best laid plans, you may still end with an emergency c-section (and I do not wish this for anyone). You may still have the episiotomy you were hoping not to need. And in the end you will still get the beautiful baby you were waiting for. So yes, I mock the birthing plan, but really, each to his own. Do you, or did you have a birthing plan? Did it help?